This is one of my all-time favorite summer meals. Nothing says summer more in B.C. than fresh caught Dungeness crab. 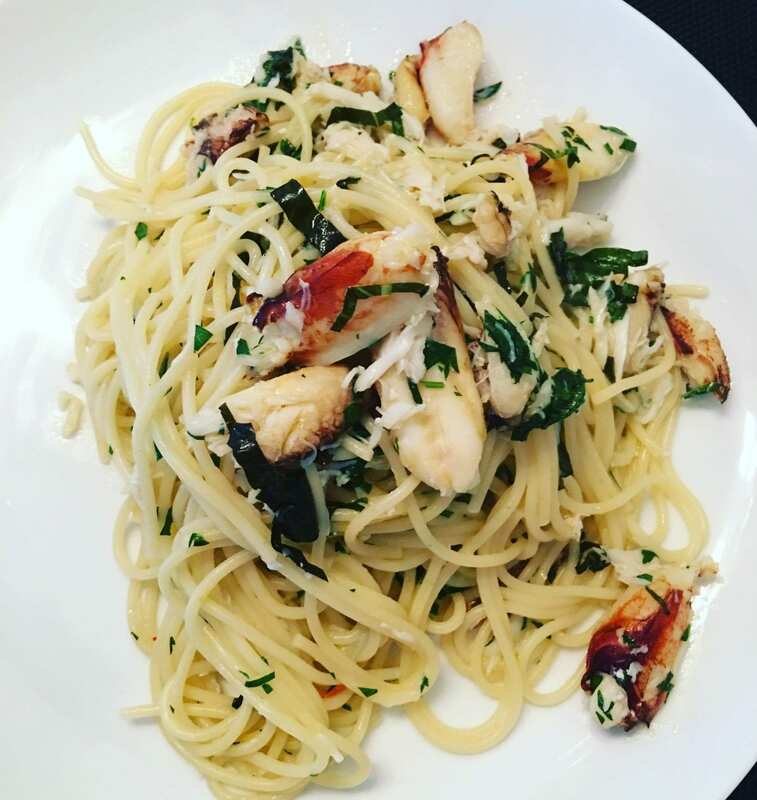 The best thing about this pasta recipe is that it really lets the star (the Dungeness crab!) shine. Think about dipping cracked crab in spicy melted butter and then add some pasta and a crusty sourdough baguette. Are you drooling yet? Cook pasta in a large pot of boiling salted water (water should taste like the ocean for salt level), until al dente. Drain, reserving 1.5 cups pasta cooking liquid. Meanwhile, melt butter with 1 tablespoon olive oil in a large skillet over medium heat. Add garlic and chile and cook, stirring often, until fragrant, about 1 minute. Careful not to burn the garlic. Add lemon juice, white wine and 3 tablespoons pasta water to pan. Allow liquid to reduce slightly. Add drained pasta to the pan, along with the rest of the reserved pasta water. Increase heat to medium high. Cook, tossing pasta or stirring with tongs, until liquid is almost evaporated and pasta becomes glossy, about 2 minutes. Add in remaining olive oil, lemon zest, crab, fresh herbs, and more chile rounds, if desired. Stir together until pasta is well coated, adding more pasta cooking liquid if dry. Divide into pasta bowls and top with more lemon zest and fresh basil and parsley. Serve with a crusty sourdough baguette!